Stay informed about our continued development of #POTUS. 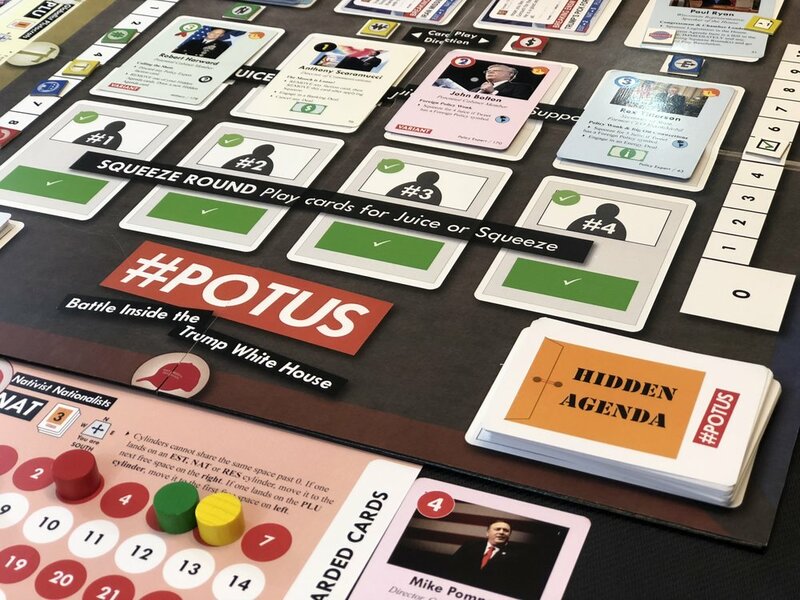 Get ready to Make America Game Again! No matter what your political affiliation is, there’s fun in store with #POTUS! 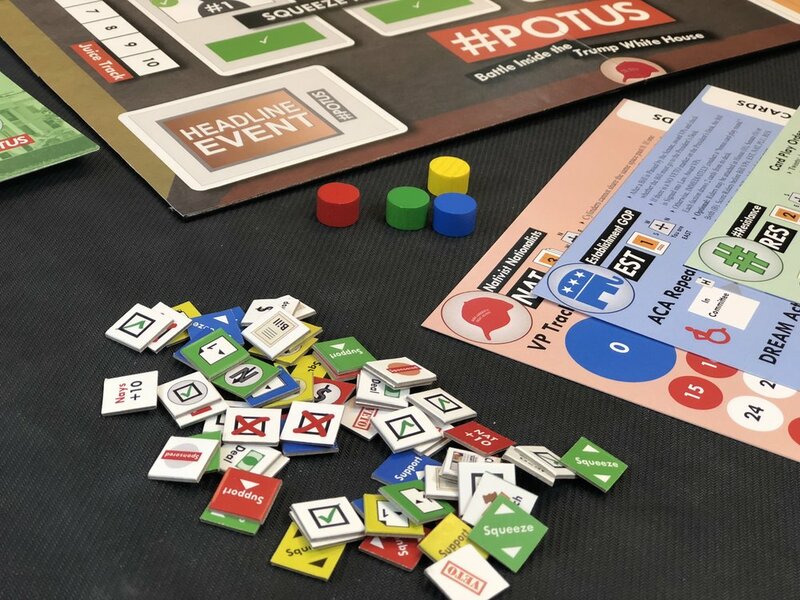 In #POTUS, 2-4 players each lead a faction inside the White House, trying to stay in power long enough to pass the bills they think will help the country. The obstacles: your fellow Republicans (who have their own plans), Trump’s social media habit -- and the ticking clock of Robert Mueller’s investigation into Russian meddling and possible collusion. Your faction’s unique deck of cards represents power brokers inside the U.S. government – the actual participants like Steve Bannon, Reince Preibus, John Kelly, Jared Kushner and Ivanka Trump. These cards will help you win Presidential tweets, vote on bills before Congress, and capture powerful "Ace" cards representing individuals like Bob Mueller, John McCain, Vladimir Putin and Donald Trump himself. 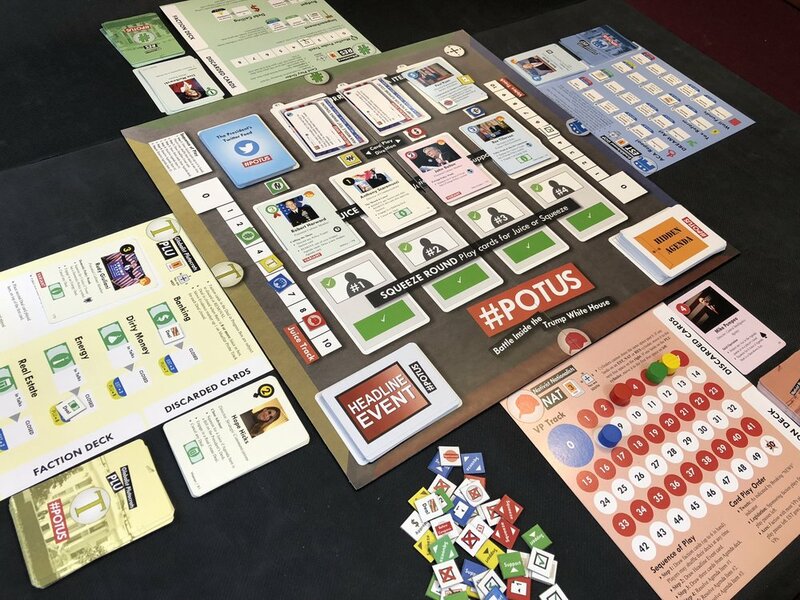 #POTUS will appeal to fans of card-driven strategy games like Twilight Struggle or Churchill, or political junkies who love satirical games like Junta or Kremlin. It’s also the first title in HGN’s “Fighting Factions” series. Future planned titles include The Death of Stalin, a game of 1953 Soviet Politburo politics, and Team of Rivals, a game of Lincoln’s cabinet during the Civil War. 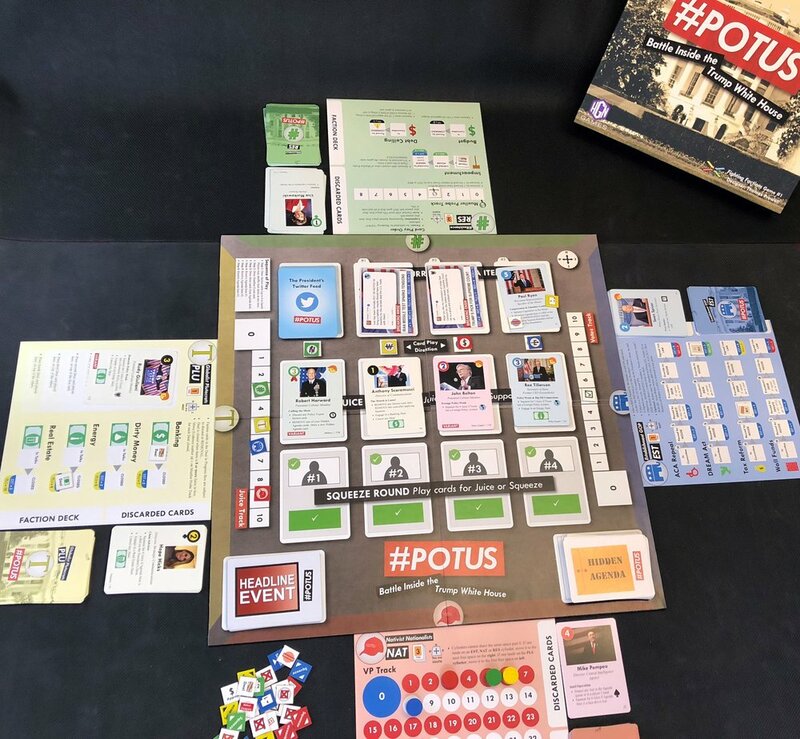 Want to see #potus in play? 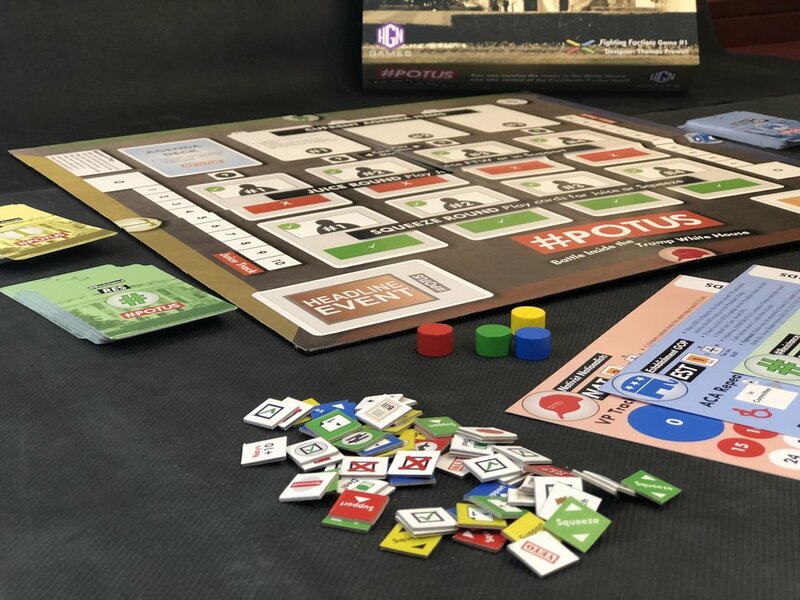 Our friend Tim at Hair Brained Games got a prototype copy and made this video.